Chilly Billy's at the "Lumberyard"
At Chateau Bordeaux you can experience fine dining on St. John's highest lookout point. 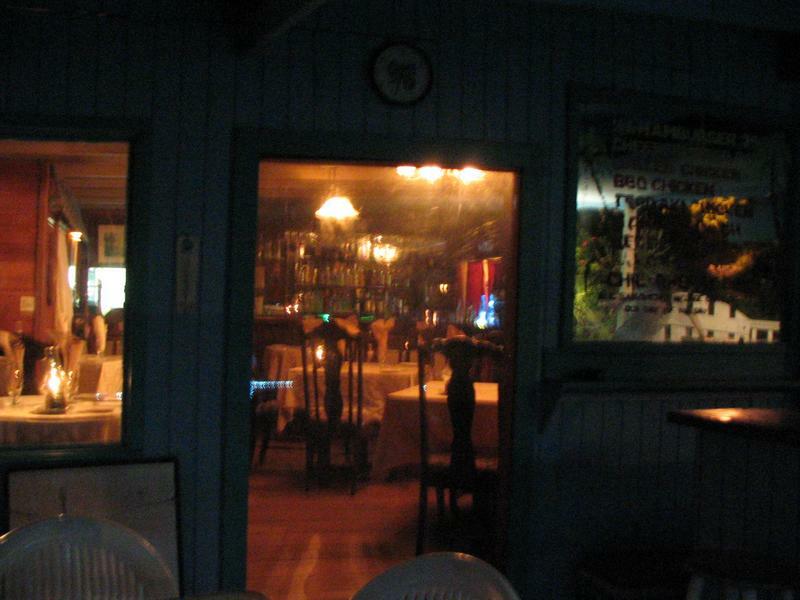 This restaurant is located on the east end of the island, and is a good ride from Cruz Bay, St. John?s main city. 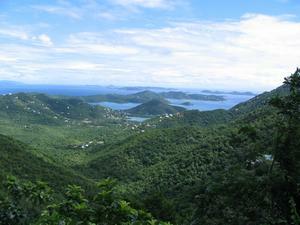 But you will find that the ride is well worth it, and the view from Bordeaux Mountain is spectacular. The indoor restaurant features a sophisticated Mediterranean cuisine. There are very interesting menu choices, some fairly pricey, but beautifully presented. 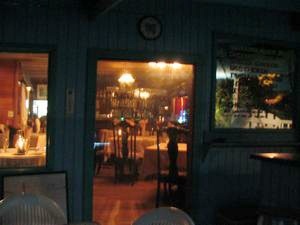 There is also a well stocked bar and an extensive wine list. Given all this, the most special experience for us here is the panoramic view of Coral Bay and the east end of St. John, several small cays and islands, and the British Virgin Islands in the distance. For this reason, reservations for dinner are definitely recommended. We prefer to have lunch and drinks on the porch outside, which provides the same perfect view, and a nice cool breeze on a hot afternoon.